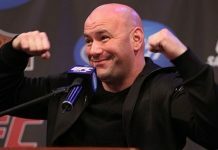 Opinion | Dana White says Francis Ngannou has an ego problem, but has he looked in the mirror? Note: The views expressed in this text are those of the author, and do not necessarily represent those of BJPENN.COM or its affiliates. Derrick Lewis and Francis Ngannou’s UFC 226 heavyweight fight, which Lewis won by unanimous decision, was objectively terrible. Although the pre-card promotional material promised we were in for a collision of planetary proportions, what we got was a snore-inducing pseudo-fight. It was a mammoth disappointment — but really, that’s all that needs to be said about it. 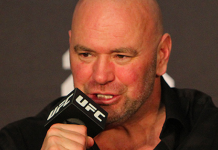 For some reason though, UFC President Dana White said a whole lot more than that at the UFC 226 post-fight press conference. 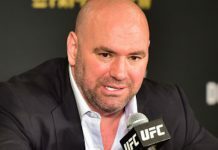 While he could have simply agreed that both fighters put forth disappointing performances and taken another question, he opted instead to dump all over Ngannou’s character. Yes, if Dana White is to be believed, Francis Ngannou, who was sleeping on the streets of Paris mere years ago, has an ego problem. But how on earth could that be the case? Well it’s possible that, somewhere in the lead-up to his failed UFC 220 title fight with Stipe Miocic, Ngannou started to believe what he was hearing. In the build-up to this title fight, Ngannou was billed as a devastating knockout artist cut from the same cloth as Mike Tyson; as an unstoppable juggernaut with the power to jostle planets from their orbits; as the most dangerous heavyweight to ever set foot in the Octagon. Despite the fact that he’d only been training in mixed martial arts for a few years, he was inflated to the bursting point by a ceaseless stream of praise — some of which was absolutely deserved. A lot of that praise came from Dana White. 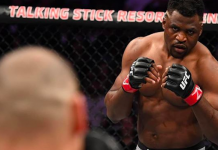 “Once we keep this guy active, and you see him doing this to all the big stars that you know… yeah, I think this guy’s going to be a rock star globally,” White said shortly after Ngannou knocked out Alistair Overeem at UFC 218. Given the way White and other key members of the MMA community spoke about Ngannou, it should really come as no surprise if Ngannou developed a bit of an ego. He was told that he was special, and he started to believe it. Of course, if Ngannou let his ego affect the way he fought Miocic and Lewis, that’s 100% his mistake. 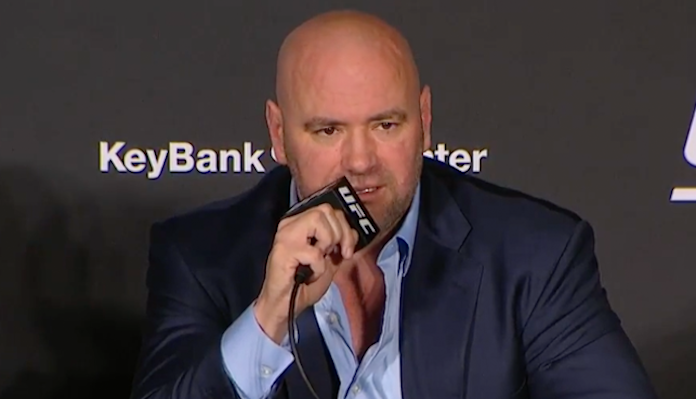 But at the same time, it’s frankly inexcusable of Dana White to accuse the heavyweight of having an ego when, just months ago, White was doing his part to pump that ego up like a hot air balloon. This isn’t the first time White has made this kind of 180 either. 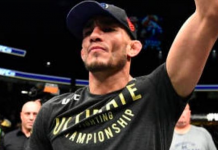 In the past, he has made similar U-turns on fighters like Georges St-Pierre, Anderson Silva, Amanda Nunes, Tyron Woodley, and most recently, Yair Rodriguez. First, he’ll praise them, and then when they don’t behave just the way he’d hoped, he eviscerates them. One argument I’ve seen on social media is that White is just doing his job. He’s a fight promoter, and when he hyped up Francis Ngannou before UFC 220, well, he was simply promoting a fight. Fair enough. But does his job end when a fight is over? If he’s indeed a promoter of fights and fighters, should he not continue to promote his fighters when they’re coming off ugly losses? Should he not attempt to mitigate the fallout, rather than stomp through the ruins? If anything, White’s being a promoter should assure that he never trashes his fighters the way he trashed Ngannou after UFC 226. 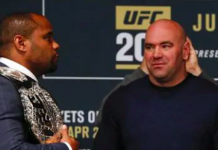 So, now that we’ve snuffed that argument out, allow me to offer another explanation: Dana White has an ego problem of his own. His ego is so out of control that when he’s wrong about a fight — when it doesn’t deliver as advertised — his response is to point fingers at everybody else. Even at the fighters themselves, who put their very health on the line to fatten his billfold, and sate our appetites for spectacle.